Brrr! Snuggle up with the animal cuties in this snowy story. There’s room for everyone (just) in Percy’s cosy little hut! Percy the Park Keeper loves to help his wild animal friends. 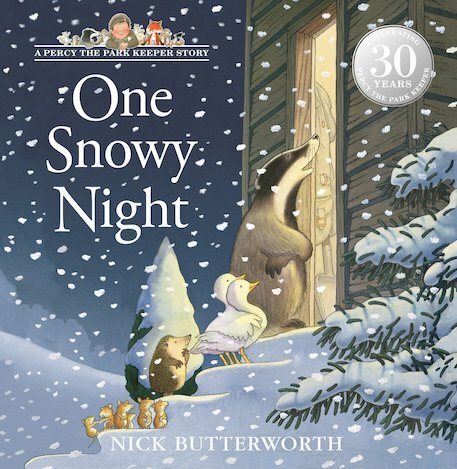 But he’s faced with a challenge one snowy winter’s night, when all the animals suddenly turn up! One by one they appear on his doorstep, shivering and asking for shelter. It’s going to be a big squash! But when your friends need help, there’s always room for one more… Heartfelt, cosy and full of cuddly animals: the ultimate feelgood winter warmer!